Stéphane Bressan is Associate Professor in the Department of Computer Science of the School of Computing(SoC) of the National University of Singapore (NUS). Stéphane is Track leader for Maritime Information Technologies at NUS Centre for Maritime Studies (CMS). He is Affiliate Professor at NUS Business Analytics Centre. He is researcher at Image & Pervasive Access Lab (IPAL) (Singapore-France CNRS UMI 29255). Stéphane’s research interest is the integration, management and analysis of data from heterogeneous, disparate and distributed sources. He is the author of more than 100 articles in international peer reviewed conferences and journals. He is member of the steering committee of the Database Systems for Advanced Applications conference series (DASFAA) and founding and steering committee member of the International Organization for Information Integration and Web-based Applications & Services (@WAS). He serves on the committees of numerous international peer reviewed conferences and journals. Stéphane graduated in 1987 with a degree in Computer Science, Electronics and Process Automation from the Ecole Universitaire D’Ingénieurs de Lille (France) (now Polytech Lille ) and received his Master and his Ph.D. in Computer Science in 1988 and 1992, respectively, from the Laboratoire D’informatique Fondamentale of the University of Lille (France). 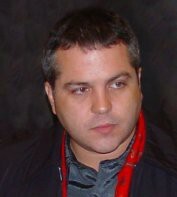 In 1990, Stéphane joined the European Computer-industry Research Centre (ECRC) of Bull, ICL, and Siemens in Munich (Germany). In 1994, he was appointed site Leader of the Database Platform project and Principal Investigator and Work-package Manager for the European IDEA ESPRIT project on Intelligent Databases. From 1996 to 1998, he was Research Associate at the Sloan School of Management of the Massachusetts Institute of Technology (MIT) (United States of America). 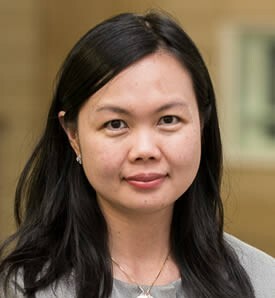 Juliana Sutanto is a Full Professor in Information Systems, Co-Director of Connected Communities Research Lab, and Director of MSc. in E-Business and Innovation at the Department of Management Science of Lancaster University Management School. Her research focuses on artefact design and behavioural analysis in digital communications and interactions; as such she subscribes herself to the design and behavioural sciences paradigms. She examines how user interactions with IS could lead to organizational and societal benefits. Juliana is currently researching on connected and resilient communities, focusing on infrastructure and social resilience, disaster management system, and smart national and urban parks. Her research work has been published in leading information systems journals such as MIS Quarterly and Information Systems Research, as well as in leading general management journal such as Management Science. Her smart park report, which was launched early this year, had received extensive media coverage in the UK such as from BBC Radio, SkyNews, and ITV, and abroad. She is currently an Associate Editor in MIS Quarterly. 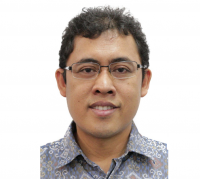 Dr. Fanany is a researcher and lecturer at Faculty of Computer Science, Master of Information Technology, and Graduate School of Biomedical Engineering.– The University of Indonesia. His research interests are data science and machine learning for a broad range of applications such imaging science and engineering, remote sensing, biomedical, automobile, and robotics. One of his current scientific activity is a reviewer of Elsevier Journal of Computer Methods and Programs in Biomedicine and Springer Neural Computing and Applications.Before joining the faculty, he worked at Future Project Div. Toyota Motor Corp, Japan, as a member of middleware development and recognition team; NHK Engineering Services Inc., as a researcher of IT21 Millennium Project on Advanced High Resolution and Highly Sensible Presence 3D Content Creation funded by NICT Japan; and a JSPS Fellow and Research Assistant at Imaging Science and Engineering, Graduate School of Information Science and Engineering, Tokyo Institute of Technology (Tokyo Tech). He served as the Chairman of Titech IEEE Student Branch 2002-2003 and the member of IEEE Consumers Electronics and IEEE Geoscience and Remote Sensing Societies. Since January 2015, he is elevated to a Senior Member of IEEE.